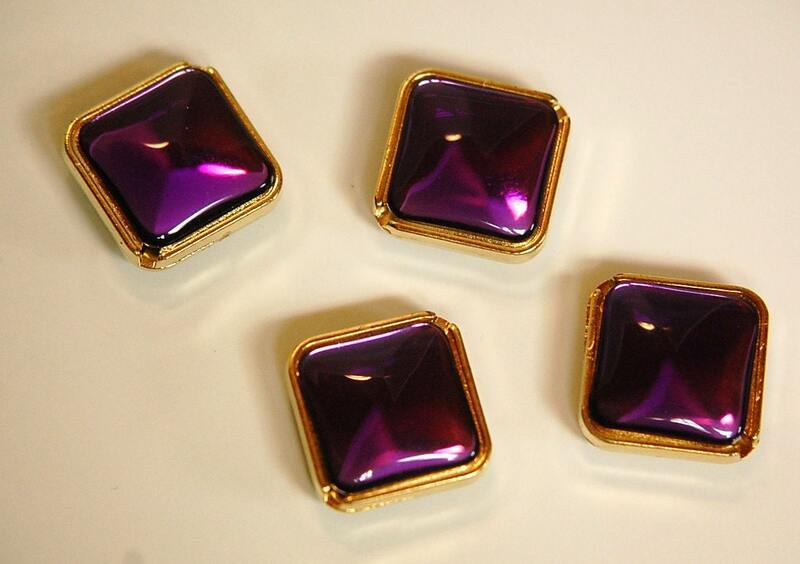 These are vintage channel set beads with an amethyst colored cabochon on each side of the bead. The beading hole runs diagonal through the bead. These measure 19mm. You will receive 4 pieces. Much prettier in person. Make great miniature ornaments.